Stubborn belly fat usually sticks around for a combination of reasons. It is not typical to change only one habit and see weight loss in the midsection. 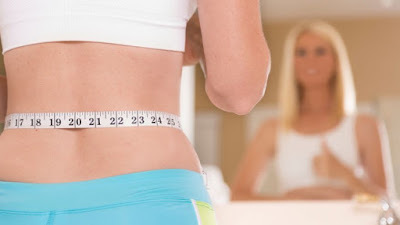 Almost everything that is effective in losing belly fat begins in the home, and is done without specialized equipment or services. Both men and women struggle with belly fat, and both can implement the most important steps to losing that fat in their daily lives. The best way to jump-start belly fat loss is to reduce daily calorie intake. The simple fact is that a person must burn more calories than she is taking in each day to lose weight. Calculating a daily calorie intake can be complicated, so many weight loss or food books include a calorie chart. Calorie calculators are online as well; for example at www.mayoclinic.com, enter your age, weight, height, gender and activity level and the site will calculate daily calories required. A physician may be your best bet to help determine a healthy daily calorie plan. In addition to reducing calories, choosing "smarter" calories is also key. The calories in a cookie are not equal to the same amount of calories found in nuts or fruit. Calories from refined sugar are not as efficient in the body and are not put to work the same way as sugars in fruits, for example. Even if a food is advertised as low-fat, it is still important to check the calories. Many people will need to keep track of daily calories for at least a couple of weeks. After that, they will start to know which foods will give them the amount of calories they need. Exercise is an effective home remedy to burn calories, and a combination of cardio and tummy-targeting workouts will help create a leaner frame. Cardio exercises are ones that increase heart rate and make people sweat. At home, cardio workouts can be walking or running, dancing, going up and down stairs or following an exercise DVD in the living room. People should get in a cardio workout at least three times a week. Alternate cardio days with tummy-targeting days. Targeting the stomach muscles will include exercises that contract and relax abdominal muscles, like crunches or sit-ups and push-ups. Instead of doing a large number of quick crunches, try slower movements with longer periods of holding the muscles in a contracted position. People will know they are doing this correctly when they "feel the burn." Drinks are tricky because people feel like they are not consuming as many calories as they do while eating. But alcoholic beverages, especially beer, are like magnets for belly fat. An occasional drink is not harmful to a diet, but choosing alcohol like red wine will be less problematic. Getting at least seven hours of sleep a night can help reduce stress (and the need for another meal). Stress and sleep deprivation can limit the body's insulin production, which controls blood sugar.